We offer a variety of campsites and rentals for everyone's pleasure. 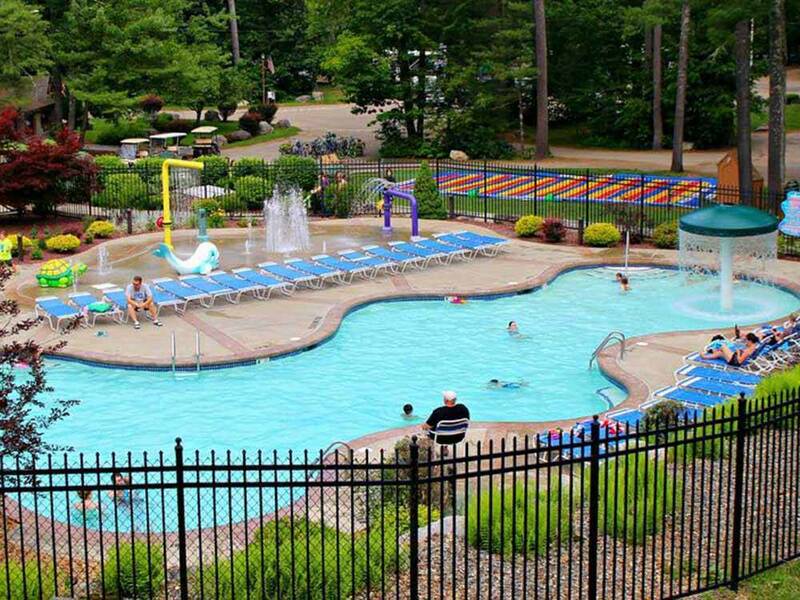 Enjoy boating and fishing on the lake or relax at the pool while the kids play in the splash-pad. You don't need to travel far to experience being away! Thank you to the Staff at Pine Acres for making our very first camping trip in our new Airstream Sport such a great experience. The staff was very helpful to us "newbies", checking in with us to see if we needed help with hookups. We enjoyed being surrounded by the pines and hiking in nearby Rutland State Park. Very nice campground. The sites and roads are well maintained. Good access to dean Lake (which they own) for fishing, swimming or free boats. Many lodges for rent well maintained and in good repair, The owner gave us a golf cart tour of the very large campground. He built it a long time ago and has stayed current!!! Not too much to do around Oakham, but there are a few good restaurants.. Be careful of the state roads to the park. Best to call the park for directions rather than trust the GPS. Some LOW hanging trees for big RV's. Great campground in the woods, really nice for families. Thought is was closer to Boston but can take over 2 hours to drive, we would stay again if it was closer. This is a GREAT park to bring your kids or grandchildren. The week we went they had Christmas in July. The water park and pool were great! The laundry area and restrooms were very clean. The park itself is very well taken care of. This is a VERY nice park and we can't wait for our next visit!! Our four day stay was our first visit. We generally enjoyed our stay but found the campground crowded and expensive. The staff was friendly and professional. We will probably not visit again.